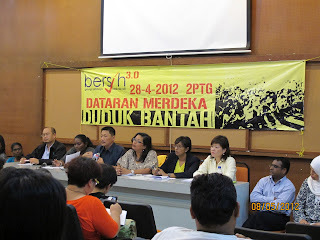 KUALA LUMPUR (May 9, 2012): Representatives of various NGOs that endorsed the Coalition for Clean and Fair Elections, or Bersih 3.0 rally, have reminded the public not to get sidetracked from the real motive. 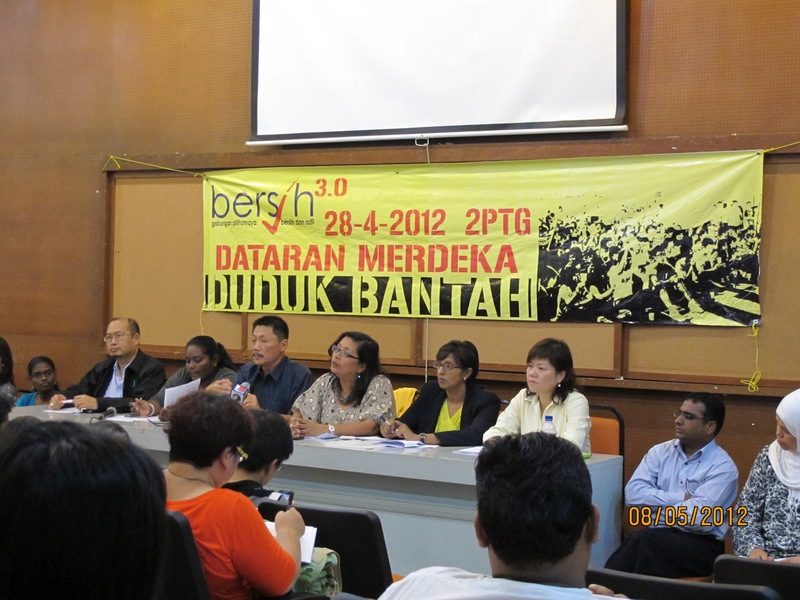 A total of 14 representatives out of 84 NGOs that endorsed the Bersih rally collectively brushed aside the various issues raised and advised the public not to forget the cause for the rally on April 28. "The rally is not about the chairing committee. It is not about violence, communists, nor was it about overthrowing the government. It is about the people demanding for free and fair elections," said Komas executive director Tan Jo Hann. He said this at a press conference to show solidarity amongst the NGOs at the Kuala Lumpur Selangor Chinese Assembly Hall, today. The representatives also ask that personal accusations towards the Bersih chairing committee be stopped. "We will stay focused and not be distracted by side issues. 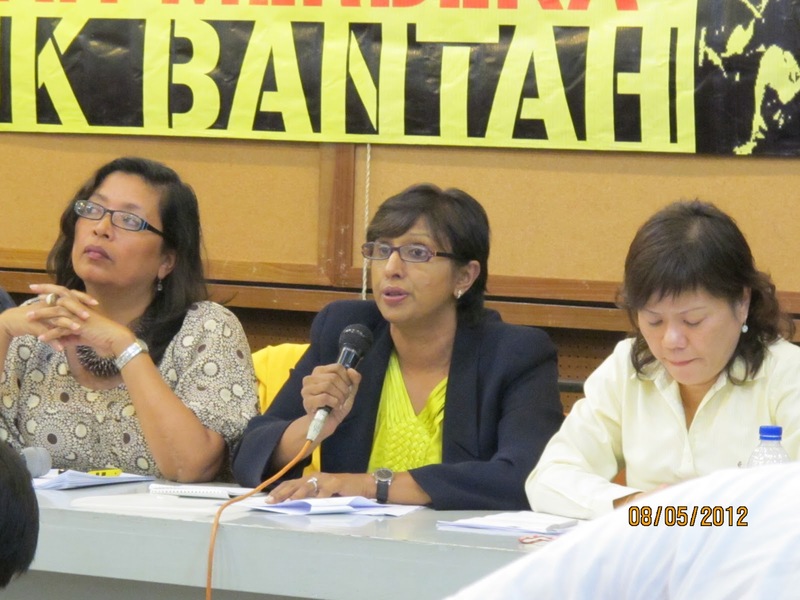 The Election Commission's accusation that Ambiga is a disruptor of democracy should not only be aimed at her, but at the thousands of people who attended Bersih 3.0," said the Association of Women Lawyers president Meera Samanther. She said that everyone who was at the rally, independent of their political views, religion, or race, shared the same goal which was for free and fair election. The eight demands made by the Bersih committee included free and equal access to the media by all parties and the cleaning up of the electoral roll. The rally that was held also called for international observers during the election, and the resignation of Electoral Commission heads, which they alleged have lost the confidence of the people.